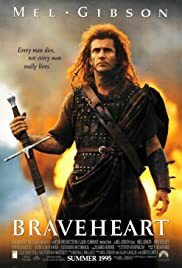 BEFORE: The Best Picture chain marks its fifth day with the Mel Gibson epic, Braveheart. AFTER: There aren’t many films about Scotland that I know of, so it’s a pleasure when I actually find one because there’s sure to be bagpipes. One thought that went through my mind as I was watching the film was an uncanny resemblance to the A Song of Ice and Fire series by George R.R. Martin. Scotland and England mapped nicely to some of the major houses in Westeros in addition to some of the characters. While the two are not the same, one is history another is fantasy, I think making the connection made the film more enjoyable. But even for those who are not fans of A Song of Ice and Fire, the film is still entertaining. It’s a perfect mix of action and drama. Things start off with the hero William Wallace in his childhood and the event that transpire. More tidbits about his life and his philosophy, freedom for his people, are detailed as the film goes on. All the while battles, both big and small, are interspersed amongst the politics going on. Even at just under a three hour runtime, the film maintains a quick pace that rarely slows down (but when it does, it’s usually in the scenes with King Edward’s son).